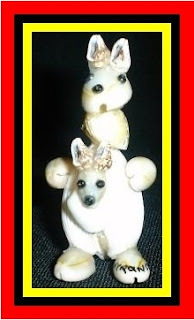 I put some interesting and unique items into my web site last night, more will be added in time as i would like to show the people of the world, items made in australia by aussies. The kangaroo has the entrance lakes painted in on kangaroo paws. 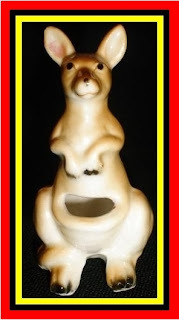 This kangaroo i think is made of china, it looks old and its cute. i was thinking about putting some air ferns in the pouch so it would look like the kangaroo is sorta eating the grass of Australia.